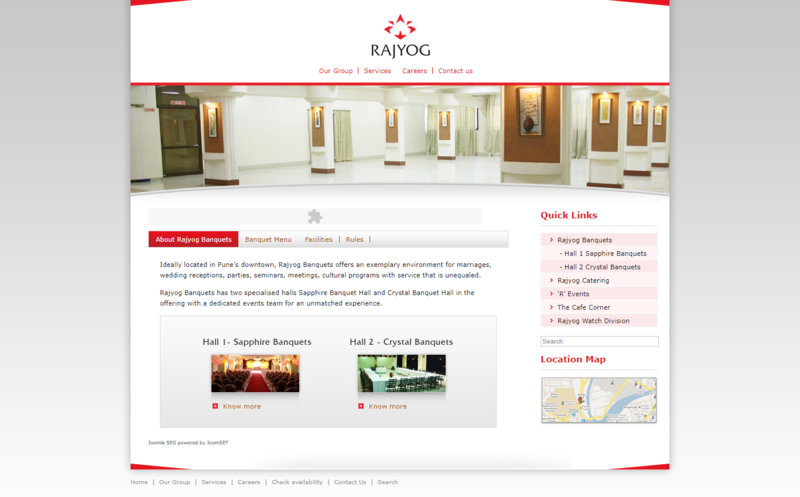 Due to rising competition from other banquet halls in the area, Rajyog Banquets wanted to increase the leads generated for their wedding halls, halls for birthday parties and other purposes. Their current source for lead generation was through footfalls and references. And they wanted to add a new lead generation channel to their pipeline. Research found that the current website had to be optimised for conversion and the positioning had to be more precise. Identified the ideal customer profile for the banquet hall. The idea behind designing the funnel was to design the flow of content that was optimized to push visitors by asking them “the only needed” details. 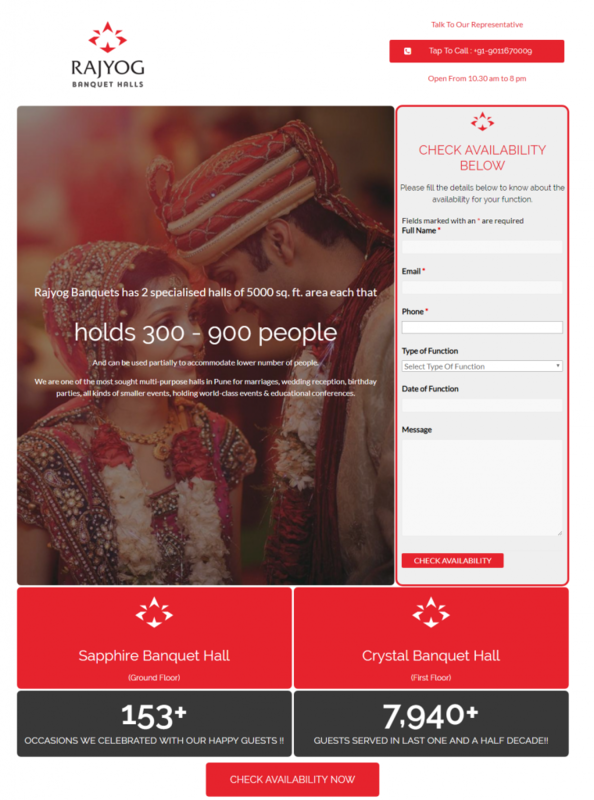 The primary keyword for which the optimization was focused on was “banquet halls in pune”. We found out that people searching for banquet halls were also looking for lehengas, makeup related tutorials and were mostly women. This gave us a initial thrust to launch campaign on Google Search Network to target this audience. Facebook campaign targeted people with interests in celebrity fashion designing and designer clothing, specifically designers that specialise in wedding dresses. The aim was also to retarget audiences using Facebook based on the interest they showed while browsing the optimized website. Focus was to increase the rankings on the google organic search results. A simple initiative of asking the present customers to give a 5 star review on the Google Maps listing helped! Optimizing content in listings was an important step as well to boost leads through Local SEO. We reached an audience of around 89,044 through Facebook and Google Ads by geo targeting a radius of 2km around the banquet hall. With a lead conversion rate of 3.41%, the leads obtained through paid ads in a period of three months were 210. The organic Leads generated in the last 6 months were 70+ with a Lead Conversion Rate of 7.11%. PrevPreviousHow to RAPIDLY Create High Quality Content?